ABB Grain presents Capstan: A Very High Yielding, Cereal Eelworm Resistant, Dwarf Feed Barley. Home > ABB Grain presents Capstan: A Very High Yielding, Cereal Eelworm Resistant, Dwarf Feed Barley. 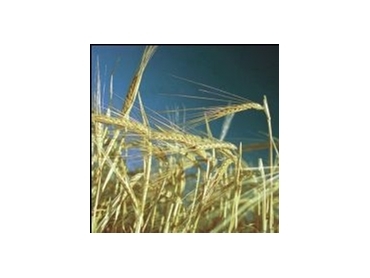 ABB Grain presents Capstan: A very high yielding, cereal eelworm resistant, dwarf feed barley. Capstan is a mid to late maturing, very short strawed feed quality barley (tested as A WI 3385 ). Capstan has resistance and moderate tolerance to cereal cyst nematode (CCN). Capstan has very high grain yields and is targeted for high yielding, high input environments nominally over 400 mm annual rainfall. Capstan has a small grain with moderate screenings and test weight and should be sown in areas with a mean annual rainfall above 400 mm to reduce risk of downgrade. Capstan has moderate resistance to net form of net blotch but is moderately susceptible to leaf scald, powdery mildew, leaf rust and the spot form of net blotch. A Capstan has prostrate early growth and very short, stiff straw with excellent head retention. Capstan would be suitable for situations where harvest is delayed or where head loss risk is severe and windrowing is not a preferred option. Sowing rates should achieve a minimum plant density 2 of 145 plants/m . Weight of grain sown should relate to seedbed conditions, germination % and grain weight which is generally similar to Schooner and lighter than Barque and Keel. Capstan is being commercialised by ABB Grain Ltd and subject to an endpoint royalty. Limited evidence (Hart, 2002) indicates that Capstan may have slightly reduced tolerance to herbicides such as Terbutryn and Achieve while reaction to other commonly used herbicides appears to be similar to other barley varieties. Experiments are continuing in this area. Limited observations suggest that Capstan is intolerant of manganese deficient soils, like Skiff and Galleon. While further data is required, use of manganese enriched seed, nutrient seed coatings and manganese foliar sprays will still be necessary to reduce yield loss under stress conditions. Capstan is moderately intolerant of high soil boron, being similar to Keel and better than Galleon and Barque. dates beyond June however the response from Capstan is expected to be similar to that of Gairdner and Skiff, being lower relative yields. A Capstan has small grain with grain weight similar to Schooner but test weight and screening losses are generally inferior to Schooner and other feed quality varieties. Average grain protein is similar for Capstan, Barque, Keel and Schooner. Average grain quality and particularly test weight, will improve with annual rainfall and to ensure grain is marketable, Capstan should only be grown in areas with greater than 400 mm annual rainfall. Capstan has prostrate early growth and mid to late maturity similar to Gairdner, thus being suited to medium to higher rainfall districts. It is semidwarf in height, similar to Skiff and shorter than Keel and possibly too short for lower rainfall areas. Capstan is very stiff strawed also like Skiff and improved over most other varieties. Capstan is resistant to head loss and therefore suitable for situations where harvest is delayed or where head loss risk is severe and windrowing is not a preferred option. Capstan has moderate leaf disease susceptibility being moderately resistant to net blotch (net form) but moderately susceptible to the spot form of net blotch. Capstan is moderately resistant to leaf scald although less resistant under high inoculum pressure and is moderately susceptible to powdery mildew and leaf rust. Systemic fungicides effective on these diseases are recommended for Capstan particularly when feed barley prices warrant the investment. Capstan is resistant and moderately tolerant to cereal eelworm, offering the same protection as Chebec and other feed varieties, Galleon, Barque and Keel. Developed and released by the South Australian Barley Improvement Program from the cross Waveney/WI2875//Chariot/Chebec and registered under PBR in 2003. Capstan is being commercialised by ABB Grain Ltd with seed available for 2004 sowings. An endpoint royalty will apply to Capstan Grain yield Within field trials, Capstan has shown a clear yield advantage over all current feed varieties in all districts and particularly the Murray Mallee. However, other agronomic characteristics such as plant height, maturity, grain size and test weight, should confine cultivation to higher rainfall districts where Capstan is clearly superior to alternative feed varieties.